The utopian country of Liberland is facing legal hurdles, mere weeks after being founded: the leader of the aspiring microstate was detained by Croatian border police. Both the Croats and Serbs are unhappy over lingering border issues. 31-year-old Czech Vit Jedlicka was trying to access his newfound country on foot when he was seized by patrols, then transferred to a jail in Beli Manastir, eastern Croatia, according to Croatia’s HRT broadcaster. The same report was run by the so-called Liberland Press Agency, which contacted Fox News. An earlier post outlined the events that preceded the arrest. The next paragraph reads that Jedlicka was released “after a very friendly meeting with the police and a judge in the town of Beli Manastir, Croatia. The president feels that there is a great degree of support from the Croatian police and judiciary and sees the arrest as a means for starting the talks with the Croatian side about opening a border crossing between Croatia and Liberland. 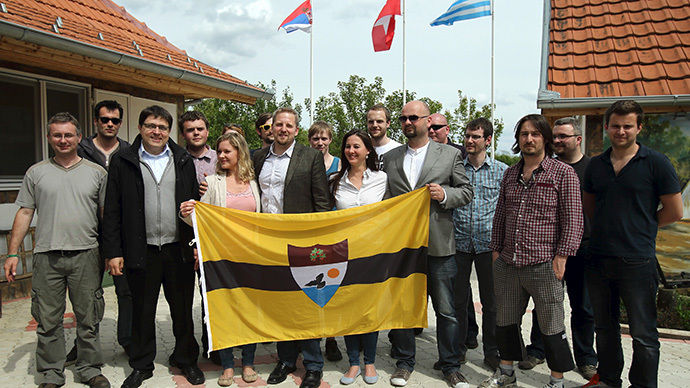 Good news: President of Liberland Vít Jedlička was released few hours ago. We will inform you more in detail in a while. The 7 square km (3 square mile) patch of land, situated on the Danube, between the Serbian and Croatian borders, has widely been called “unclaimed,” owing to its problematic status after the redrawing of national borders in the aftermath of the Balkan wars of the early 1990s. But neither country considers it so, and there is still discussion to be had over the small territory. That was never a problem for the self-proclaimed Republic of Liberland’s president, who has gathered around himself people of all walks of life and professional backgrounds to help set up a working country that wishes to be a tolerant, utopian paradise with little market control and even fewer laws. But for over a week now – and just days before the so-called Free Republic of Liberland was to be populated – both the Serbs and Croats have been blocking the Czechs, Swiss, Danes and others from trying to reach the heavily-forested area to set up lives there. After repeated attempts by Jedlicka’s followers to reach the area, the Croats deployed patrol guards and motorboats. The Serbs did the same. The group of settlers proclaimed the parcel of land an independent country sometime in early April. Now it appears they have an issue with more things than just national recognition. Serbian and Croatian legal experts are shaking their heads at the bold attempt to found a country on land that no one really forgot about. "It is legally senseless that someone sticks a flag on a disputed territory and declares it an independent state," Bojan Milisavljevic, a professor at Belgrade University, told the AP. But even simple onlookers on both sides of the Serbian/Croatian divide, supporting the idea at heart, doubt that such a thing can be created smack in-between two previously warring states still vying for the little parcel of land.